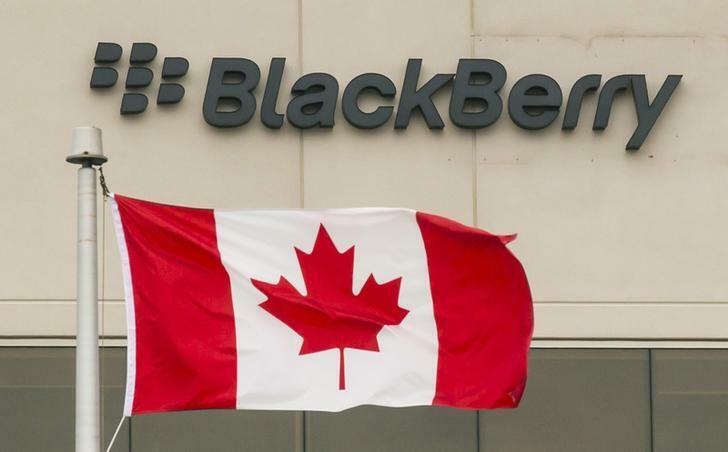 The new R&D facility is an extension of Blackberry's existing QNX operations in the region and is said to be developing advanced driving features like automatic emergency breaking, intelligent cruise, and complete driving autonomy. California says Uber needs permits for its cars because they're equipped with technology that allows them to operate autonomously, but Uber has argued that employee drivers are always seated and in full control of its cars. Google has also complained about the situation regarding state and federal laws for self-driving vehicles, but Uber has gone further by completely ignoring authorities' demands. California's state attorney has threatened to sue the company if it doesn't take its cars off the roads immediately. Apple has met with California DMV officials in the past regarding self-driving car laws within the state, with its Apple Car team reportedly focusing on autonomous systems rather than an out-an-out vehicle design. Earlier this month, Apple confirmed its interest in autonomous cars in a letter to federal regulators requesting equal rights for "new entrants" to the auto industry. Early this year, Apple was also said to have opened an R&D facility in QNX's hometown of Kanata, stirring speculation that the offices could be linked to the development of its own autonomous car systems. What sets it apart from Tesla is that instead of the centre dash being a giant touchscreen, it's a full sized qwerty keyboard. It's too bad that they changed their company name from Research in Motion to Blackberry because Research in Motion would be the perfect name for a company that has opened a research lab to develop autonomous driving technology. It also distances them from the failed Blackberry brand. Never give up motivational speech anyone? They opened up right next to the RadioShack Space Institute. o.O Blackberry is still alive? Blackberry has a lot of patents and a quite bit of cash. Chen is an idiot though, they should have gotten into the Android market years ago. Too little too late is Blackberrys MO these days. I'm not feeling this will work out great for them, though they do have quite a bit of experience with automative electronics. I bought their stock in 2013 I believe at ~$4.35. I'm still ahead on it (at $8 now, was at $13 a while back). I'm thinking it might be time to sell. At least when the car pulls over to the side and stops working, you'll know what to do: battery pull! Companies want them so they eventually can kick out the people driving them. But imagine being able to work or watch your favorite soap while in heavy traffic if you are commuting or going somewhere else. When the technology matures it is not unlikely that it will be more safer than how people drive today. Combined with no requirement for rest. Imagine you are going somewhere which normally needs a 24 hour drive, when you are tired and usually would go to a motel, now you could just put your seat back and sleep while the car does the rest. Or think about all who text and drive, drink and drive. You are so right. I can't believe that anyone wouldn't realize how powerful and important and game changing driverless cars will be if you can sleep in them. Forget about a 24 hour drive. How about just an eight hour drive? You can jump in your car, go to sleep and wake up for breakfast at a vacation spot. Have a nice day doing tourist stuff, jump in your car at the end and sleep on your way back home. I'm in NYC, if I can sleep and watch TV, I could pop over to Niagra Falls on a whim with my driverless car that runs on battery (and which finds a charger halfway there and recharges itself). Cost will be negligible. Time will pass easily between sleeping, eating and watching TV. This will "shrink" the world as dramatically as the invention of flight did. Maybe even more so on a day to day basis. It will change our infrastructure since places that were far away when you had to drive yourself become much less of an issue when you don't have to drive. This will make prime central locations less valuable, but distant and interesting locations more valuable. Why have dinner near home when a two hour drive to that restaurant located on a scenic cliff isn't a pain to reach? Who will succeed? No one really knows because it's a futuristic technology that is at its infancy. And success will be obstructed with many cities and many national safety laws against the idea of "self-driving" anything. These companies will have to spend years and years and years of testing and research before they can convince any city that their self-driving cars are "perfectly safe" enough to run around the streets. People don't realize that gasoline-powered (and diesel) automobiles were around since the 1800s, during the Victorian Era. But there was literally no successful mass production of automobiles until Henry Ford came out with the Model T in 1915. I don't expect self-driving cars to be a common "everyday sight" until a few decades from now. Many companies (in the next few years) will spend billions researching and testing self-driving cars. Most of them will fail. A few decades (i.e., 30 or 40 years) away seems very pessimistic considering Tesla is making something decent now. And Google, Uber, Mercedes, and many others are testing fully autonomous cars on roads now. Unless some serious stumbling block is reached (like operating in a snow storm) and it stalls everyone for years and years, I'd be surprised if we are ten years away from driverless cars being a common option offered by every manufacturer. It will start with long haul trucks because those cars are very expensive and have the room to carry lots of equipment. And they don't car about optics and sensors and stuff hanging on the machine. From there it will just be miniaturization and bringing cost down to get it into consumer cars. I don't disagree that many companies will fail and it will cost them billions. In fact I suspect Uber is going to be one that fails even though they seem to be only just behind Google. I don't see how that company can have the tech, programming and manufacturing chops to pull this off compared to Google, Apple, or the car manufacturers.